With a compact city centre, a handy tram system and an award-winning bus network, Nottingham is an easy city to navigate. Here's everything you need to know about getting around the city. This compact city has everything you need – all the shops, restaurants and bars you'd expect from a major city, packed into a city centre that's easy to navigate. 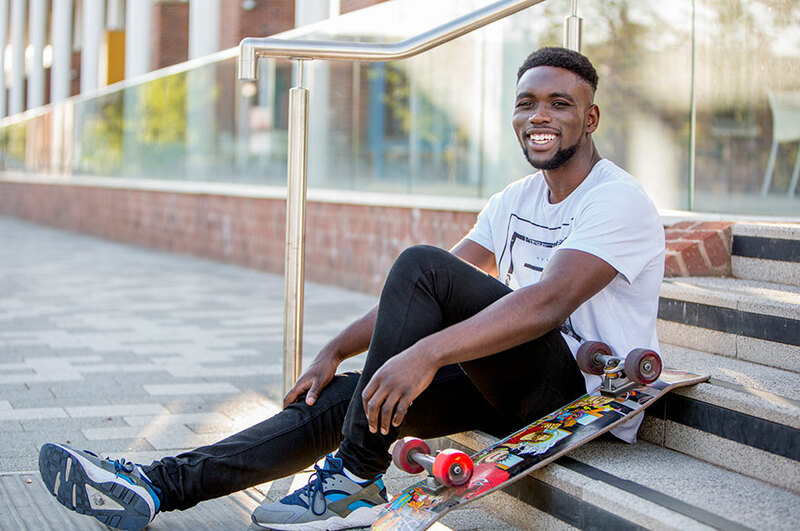 Most of our student accommodation is on-campus, a quick bus journey away, or within easy walking distance of the city centre, so a good time is never far away. 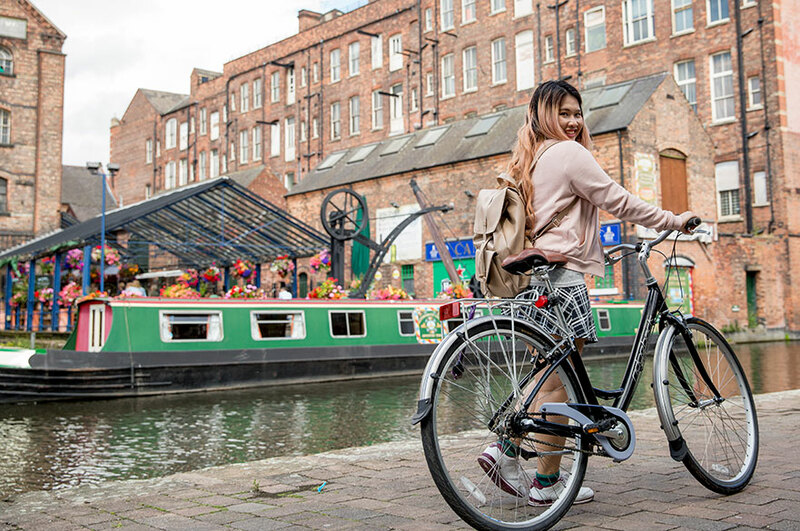 Here's everything you need to know about getting around Nottingham. Nottingham tram network serves the city centre and many of the outlying suburbs and villages. You'll find stops in key locations around the city, including right outside our City Campus and just a short walk from our Clifton Campus. Tickets are usually £2.20 for a single trip, but you can use your Smartcard as a student travel pass to get discounted travel. Academic term passes are available from £89, or you can get an academic year pass for £229. 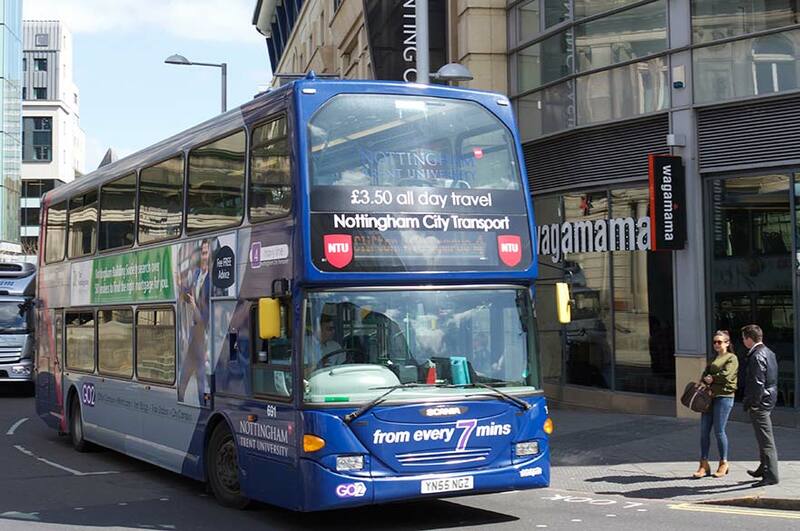 Nottingham has an extensive bus network, with fast and regular services throughout the city and beyond. The Broadmarsh Bus Station is just a short walk from the city centre, the transport hub for local and regional bus services. 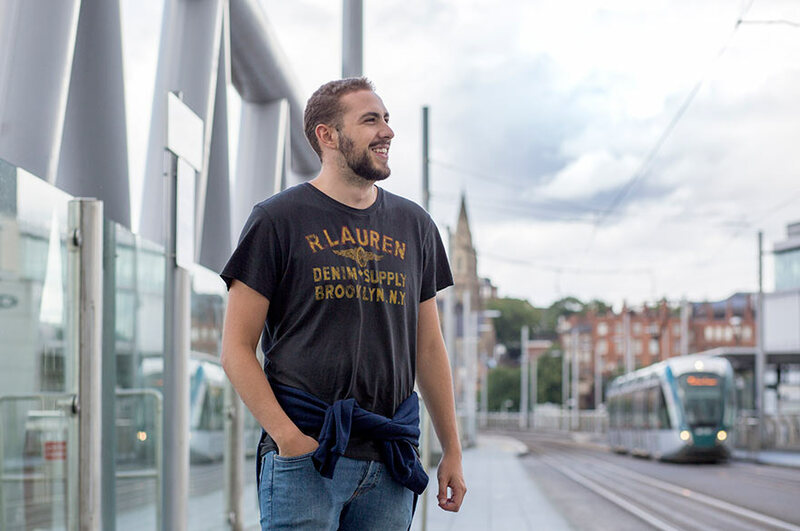 Journeys cost £2 each way or £3.70 for an all-day ticket between the city centre and our Clifton Campus. Travel between our Brackenhurst Campus and the city centre costs £4.15, or £6.00 for a return. The cheapest (not to mention healthiest) way to get around is, of course, by bike. There's plenty of cycle routes and quiet roads across the city that make cycling to-and-from campus safe and simple. No bike? No worries. Hire a bike from the Bike Factory hire scheme for just £35 a year (or £20 a term) plus a £60 refundable deposit.